Early in Wolitzer’s new young adult novel, five troubled teenagers are given journals and instructed to write in them regularly. They receive this assignment because they are members of a specially selected group of students in a Special Topics in English class at Wooden Barn, a school for teens like themselves – just angst-ridden enough for dramatic purposes but not so authentically troubled as to be unreachable or unrecoverable. 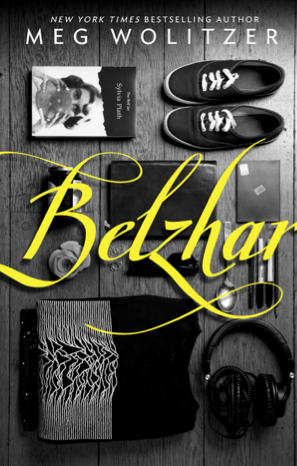 There is a great deal of “specialness” in Belzhar and the journals play a key role in demarcating who possesses this quality: only a handful of teens are given the journals, which are magically imbued with an ability to transport them to an idealized moment in the past before their trauma has occurred. In Wolitzer’s imagined universe, journaling puts one in a particular time and place, a place all the teens want to return to but one governed by rules they must slowly discern; they cannot control how long they remain in this place (which they call “Belzhar” in tribute to Sylvia Plath’s Bell Jar) and, because the physical journal is finite, so too are their visits: they will only be able to go there a specific number of times. Journaling is imagined in a conventional way: the journals are red leather-bound books with lined pages and the students write in them with pen or pencil. It is consistent with the setting at Wooden Barn, where cellphones are banned, but it contributes to the quaint, old-fashioned tone of the novel that the moral seems to be that writing in longhand leads to self-discovery and healing. (I pity all the troubled teens who will be handed this book alongside a journal and exhorted to write themselves to mental health.) Moreover, journaling takes the teens to a place where progress is impossible: it is rooted in the past and no new things can occur there without dreadful consequences. Journaling is paradoxically an activity that keeps one resolutely and morbidly tied to the past, and yet also the necessary step towards future recovery. I am a great fan of Wolitzer’s previous novel, The Interestings, which was set at a summer camp for talented and artistically-inclined teens – a setting that very closely parallels the special school for troubled teens in Belzhar. Comparisons between the two novels seem inevitable and much to the detriment of Belzhar. Belzhar reads like a formula: Take setting and characterization from The Interestings, water it down for a YA audience, add a dash of the supernatural and a lite intertextual reference to Plath and, voilà, a YA bestseller! The treatment of harrowing trauma as a mere passage in teenage self-discovery invites such a cynical reading. Journaling is the primary metaphor for this process of self-discovery, but it is not taken seriously as a creative, literary, or psychologically beneficial act – which is indicated by the fact that recovery is equated with no longer needing to journal. The teens hand over their journals at the end, having completed the assignment of wrestling with their inner demons – no longer in need of the tedious activity of writing because they are somehow, magically and improbably, cured. There may be some young readers who will buy this lesson but I think most will find the novel’s premise as flat and unpersuasive as I did.